011-64624953, 9210775942&Nbsp;ctet CLAT BBA best Entrance Exam Coaching Center Institute In Delhi.. Tara Institute is a premier institute for Banking & Competitions Exams Preparation in Delhi. 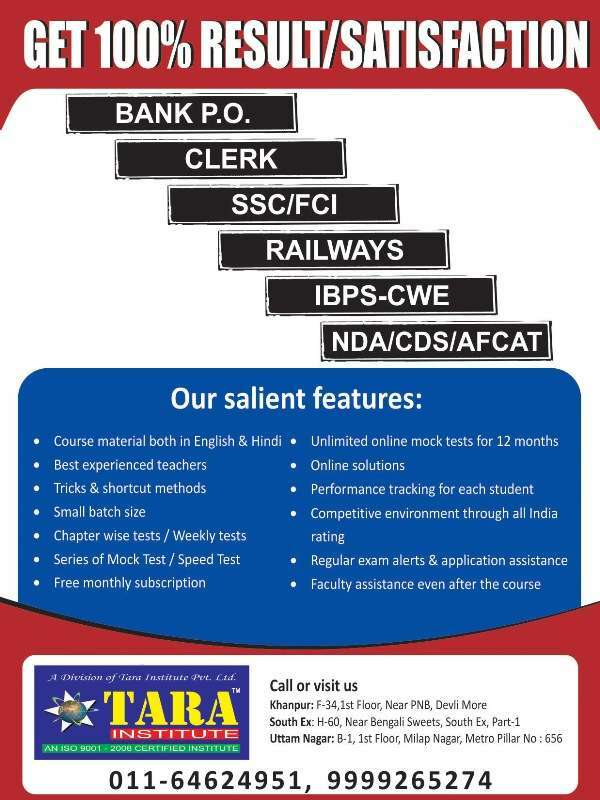 Tara Institute has become a centre of excellence in guiding student through various Bank Exams. Tara Institute has a track record of having the best success rate in the industry for past 7 years. Tara Institute has a track record of more than 90% selections per batch on average, in last 7 years.
? All study material for free.
? Complete study material in English / Hindi.